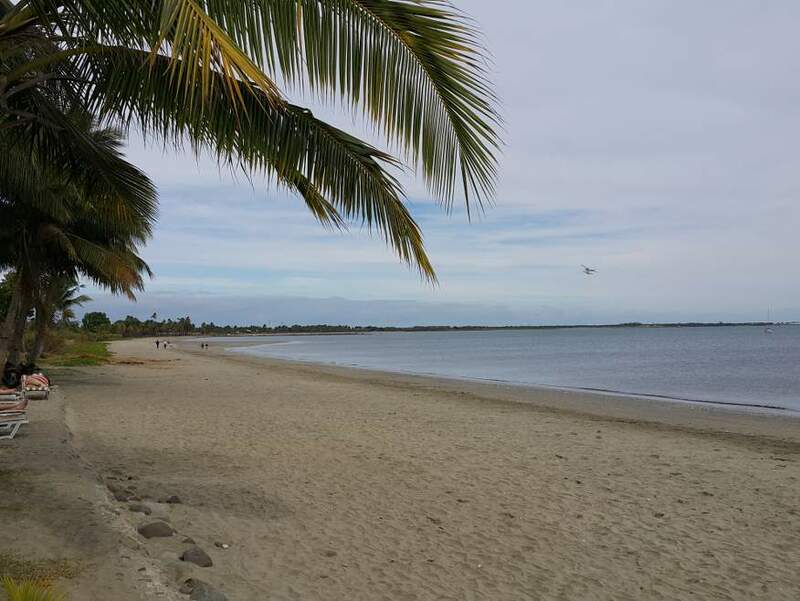 Natadola Beach looking stunning as usual, only 45 min drive from Nadi. 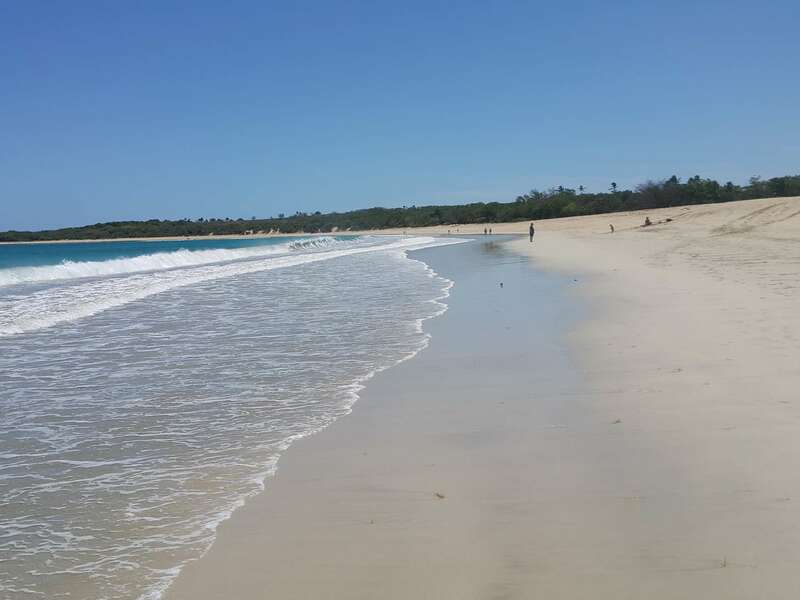 There must be literally thousands of beaches in Fiji, some named and well known, others tucked away in remote areas with hardly a visitor from one day to the next. From idyllic coconut fringed white sandy beaches, to rocky coral strewn stretches, each has it's own unique charm. 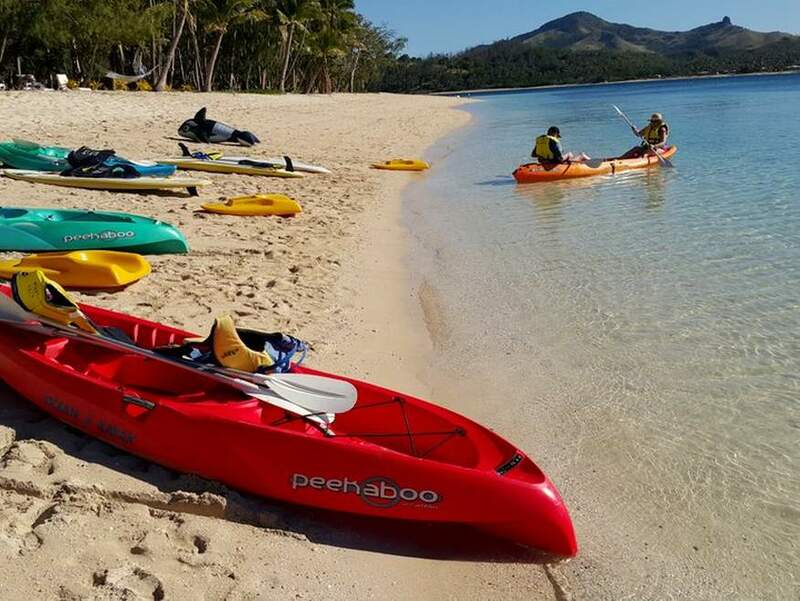 There is no such thing as the "best beach in Fiji", everyone has their own idea of what makes a beach perfect. For some, it will be safe swimming for children. For others, the availability of activities and watersports... or maybe you just want somewhere that's unknown and away from the crowds? Regardless of your expectations, there will be a beach that's perfect for you. So let's explore some of them, and see if we can't find one that you will rate as "Fiji's best beach". Wailoaloa Beach on a calm day, it can get quite windy though, which cools the day down! 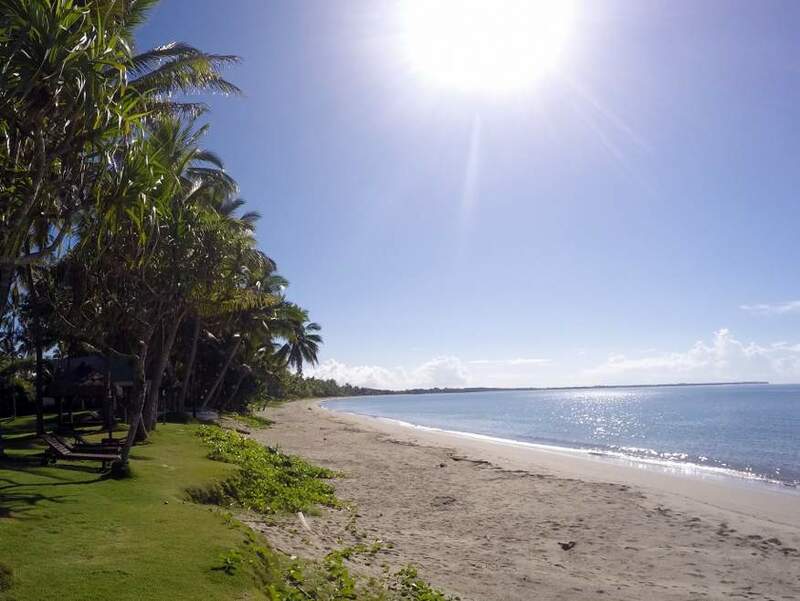 If you are booked into one of the resorts at Wailoaloa Beach (Newtown area), then this is the beach you will have right outside your apartment or bure door! The great thing about Wailoaloa (pronounced as Wailolo) is the easy access and proximity to Nadi. You can hop in a taxi at the airport, and be on the beach in about 15 minutes. 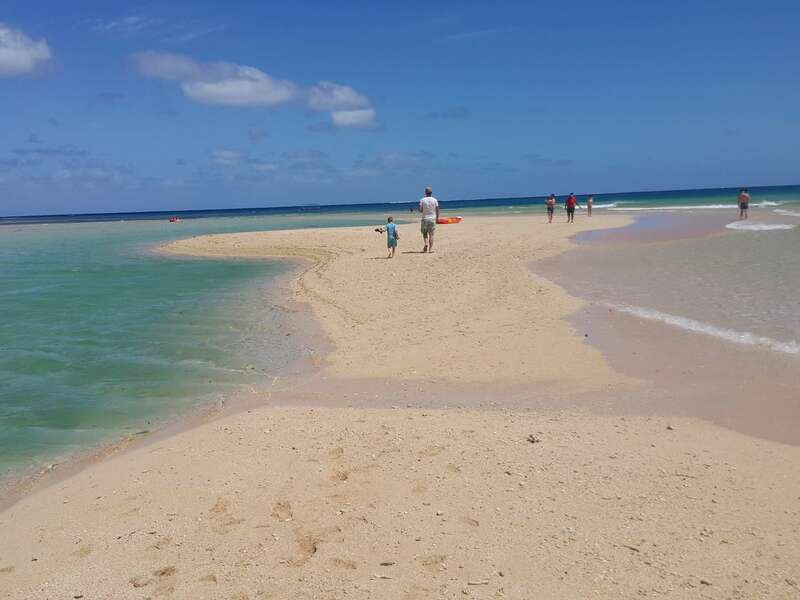 While this is not a "white sand" beach like you find in the outer islands, it's a safe, popular swimming spot. No reefs to snorkel over, but as this is located in Nadi Bay, the waters are generally calm and sheltered. Ideal for young children or those that aren't confident swimmers. There is also the convenience of all the budget resorts along the beach front. So you always have the option to wander into one of the beachside resort bars (for example, Smugglers Cove or Aquarius on the Beach) and grab a cold beer or glass of wine. If you are in the vicinity of the Pacific Coast (AKA: Pacific Harbour) then this is the main beach edging the Beqa lagoon. While the Uprising Beach Resort is located here, it is not a private beach... there are over 2kms of pristine sand with public access and The Pearl Resort is right at the other end of the beach. Plenty of room for those wanting their privacy, or mingle with the Uprising guests, the choice is yours. Plenty of room for swimming. The closest accommodation, is the Uprising Beach Resort. This caters for all age groups and budgets, with accommodation levels that range from luxury studios to backpacker dorms. Highly recommended. Probably the best known of all beaches on Viti Levu, many people also consider it to be one of the best. And with good reason! That last point is an important one, and is one reason for Natadola beach being so popular. Due to a surrounding coral reef, many of Fiji's beaches just don't have enough water in the lagoon at low tide for swimming. But at Natadola, you can swim at any tide. Not surprisingly, the best part of the beach is right outside the luxurious Intercontinetal Resort. The staff there keep the beach in pristine condition, compared to the public areas of the beach. 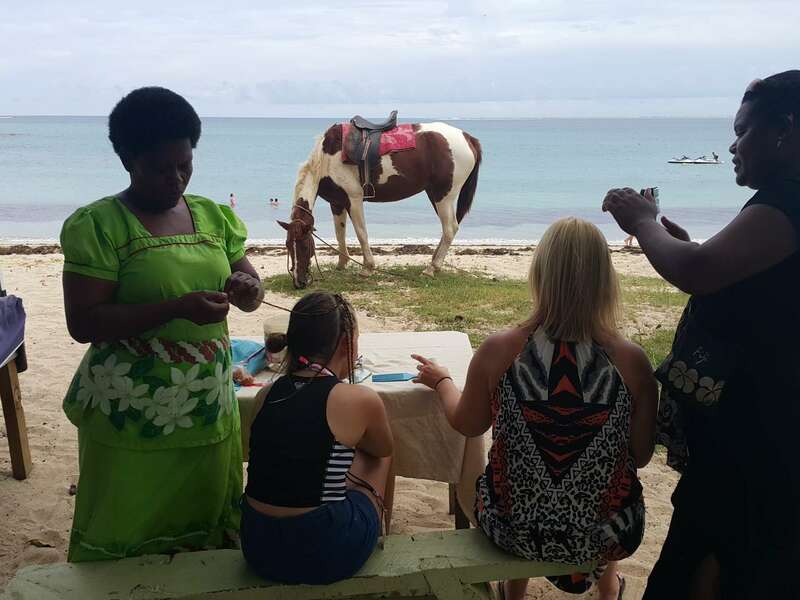 One thing that people might dislike with the public areas, is the locals that bring their horses down to the beach for tourists to ride. Nothing wrong with a horse on a beach, but it would be nice if they picked up the horse dung! It is sad to see how a beautiful landscape can be ruined with broken glass, empty plastic bags, soft drink cans etc. But Natadola really isn't all that bad! Perhaps I just went on a bad day, or was on the wrong part of the beach ;-) Overall, I would rate this as one of the top beaches along the south coast of Viti Levu. Not to be confused with Blue Lagoon Resort which is not on this beach at all and on a completely different island. 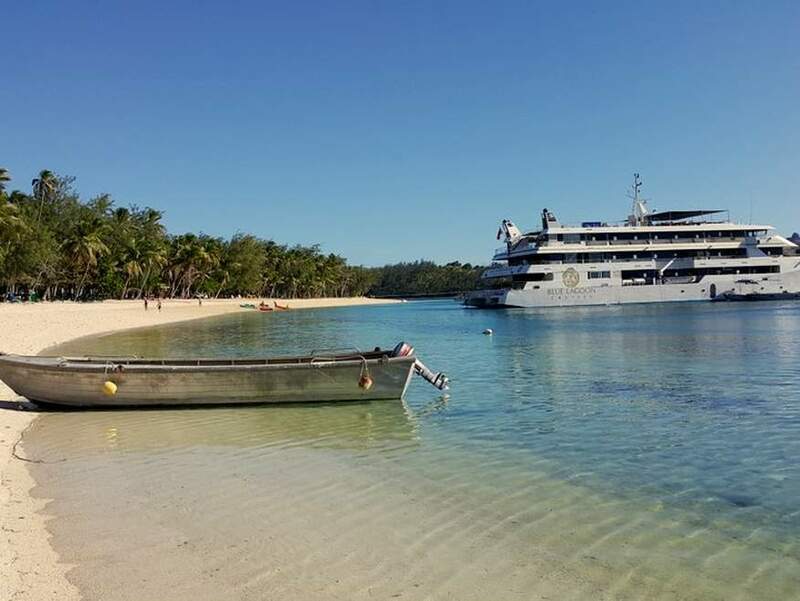 Blue Lagoon is where the cruise ship Fiji Princess moors overnight with it's guests enjoying a pristine beach paradise. 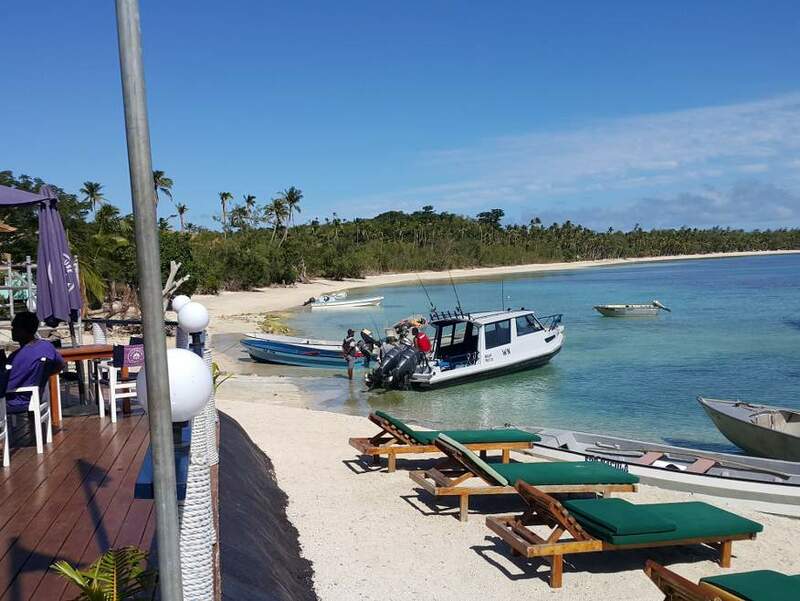 Fiji Princess owns the land right on the beach so only guests from the ship can us it. Even when the ship isn't there you can't go on the land. The beach is stunning and in a lovely cove protected from the winds. Snorkelling is right at the end of the beach, but we didn't find it that good. You'll also find Nanuya Beach Resort here as well, they are located right at the start of the beach.